The cycle climb to Station du Puy St Vincent 1600 from l'Argentière-la-Bessée was one of just a few remaining on our cycling climbs guide to the region having tackled many of the others during our long stay in the region throughout the summer (including the Col du Galibier, Col Agnel and Col d'Izoard twice!). However, on a cloudy but crisp autumn afternoon in Vallouise Esther decided she wanted to add one more climb to her repertoire of the region and set out on her second solo ride (since the Col de Montgenèvre) to give the ride to Station du Puy St Vincent 1600 a go. Starting from l'Argentière-la-Bessée, the ascent to Station du Puy St Vincent 1600 is 17.68 km long and over this distance you climb 806 meters to a final altitude of 1655m giving an average percentage 4.5 %. However, as usual this average masks a fair few flatter sections mixed in with some others at over 9% making this a steady but challenging climb. 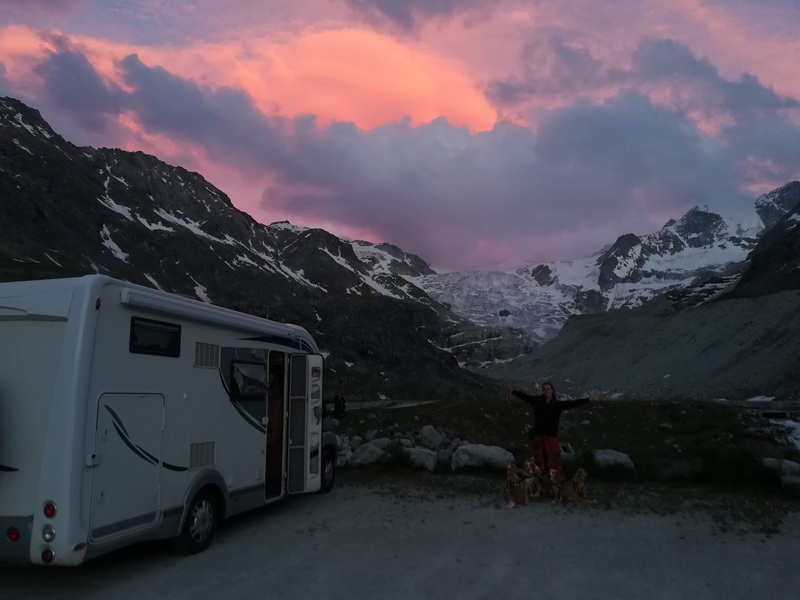 As we were based in Vallouise Esther decided not to descend right back to l'Argentière-la-Bessée to begin the climb, but began at Les Vigneaux with around 11km still to climb. The climbing was actually quite a relief after the cold descent which, despite wearing her thickest jacket, had started to raise doubts over whether a ride had been a good idea after all. Starting with an especially steep opening kilometre but one that soon gave fantastic views over Vallouise and into the Ecrins National Park beyond including a short section which gave views towards Glacier Blanc through the clouds. At around 1400m the route passed through a series of small villages including Le Puy itself looking relatively traditional and unaltered in comparison to the ski station lying a little further up the road. Rolling into the ski station, crowded with hotels and tourist paraphernalia still mostly closed and waiting the arrival of the ski season, was a strange feeling after the remote and isolated hikes of previous days. Also, the 'top' of the ascent turned out to be inauspiciously sited right in front of an especially large hotel / centre commerical. However, not to be put off by the buildings and chilly weather and noticing that there was road still heading uphill Esther decided to push on a little further and managed to squeeze an extra 200m out of the climb, arriving at 1800m Pre Loubet a short while later and enjoying some fine views across the surrounding mountains, giving views back towards Vallouise and the Ecrins as well as towards l'Argentière-la-Bessée. Wrapping up warm for the chilly descent, Esther re-traced her steps through the ski station but turned off left to Vallouise just before re-entering Le Puy to continue the descent back to the warmth of motorhome. Turning the ride into a short loop also meant that different views opened up. Whilst initially the chilly descent to Les Vigneaux had been uncomfortable returning directly to Vallouise and making the ride a loop made a nice change and rounded off what had been a surprisingly pleasant ride.